Denver, Colorado. 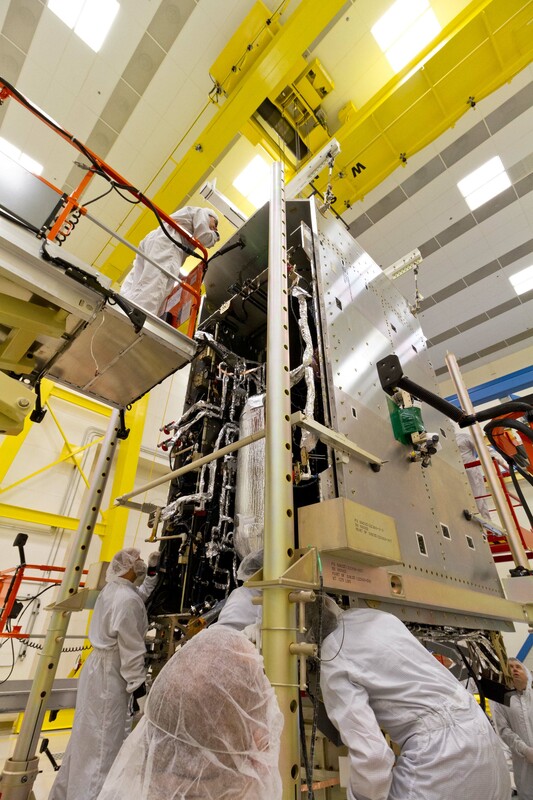 September 19, 2014 – A team of technicians and engineers at Lockheed Martin has successfully mated together the large system and propulsion modules of the first GOES-R series weather satellite at the company’s Space Systems facilities near Denver, Colorado. The Geostationary Operational Environmental Satellite-R series (GOES-R) is NOAA’s next-generation geostationary weather satellite system. With the core spacecraft completed, the team will begin installing the six weather and solar-monitoring instruments onto the satellite. Functional testing and environmental testing phases of the program will follow this fall. GOES-R is scheduled to be launched in early 2016. Lockheed Martin is designing and building the Geostationary Lightning Mapper (GLM) instrument. Boulder’s Laboratory for Atmospheric and Space Physics is responsible for the Solar Ultraviolet Imager (SUVI). The satellite’s instrument suite will be used to observe the sun and space weather including coronal mass ejections, solar flares and ion fluxes that can disrupt power grids, communication and navigation systems and create radiation hazards. Data from NOAA’s GOES satellites provides accurate real-time weather forecasts and early warning products to NOAA’s National Weather Service and other public and private sectors. The GOES-R Series will be more advanced than NOAA’s current GOES fleet. The satellites are expected to more than double the clarity of today’s GOES imagery and provide enhanced atmospheric observations with more frequent images. 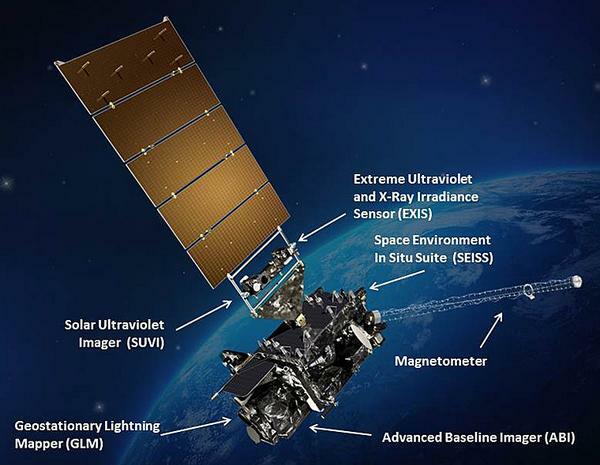 The advanced spacecraft and instrument technology on the GOES-R series will vastly improve the detection and observation of severe storms and hurricanes, space weather prediction, ecosystems management, commerce, and transportation. The enhanced data from GOES-R will directly affect public safety and protection of property.